PlayStation Now has got most of us pretty excited, but Sony might be taking a different route when it comes to letting us play some of its oldest titles. 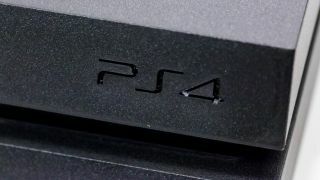 According to a "well-placed source" speaking to Eurogamer, only PS3 games will be streamed over the Now service, while PS1 and PS2 titles will play locally using emulation on the PS4. The source claims that Sony is looking to use the same emulation strategy seen on the PS3 and PS Vita, but adding the ability for games to run in native HD resolutions. The benefit of this, of course, is that there shouldn't be any lag when playing PS1 and PS2 games, while running in native HD would look much better than the upscaling we currently get on PS3. Sony could still offer the ability to stream pre-PS3 titles through Now, but it's likely we wouldn't be able to enjoy the HD upscaling too. Still, this is just a rumour for now, though one that makes a lot of sense for both Sony and gamers. What are our early impressions of PlayStation Now?